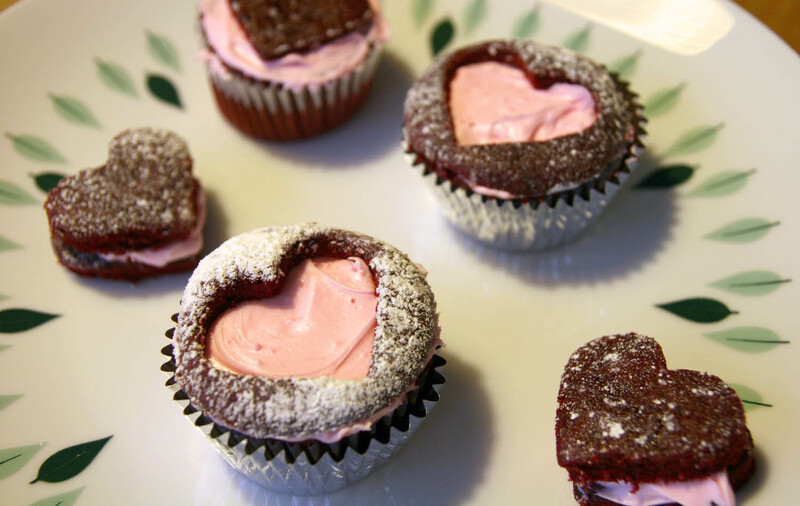 Juneberry Lane: Creative Cupcakes: Be Still My Heart . 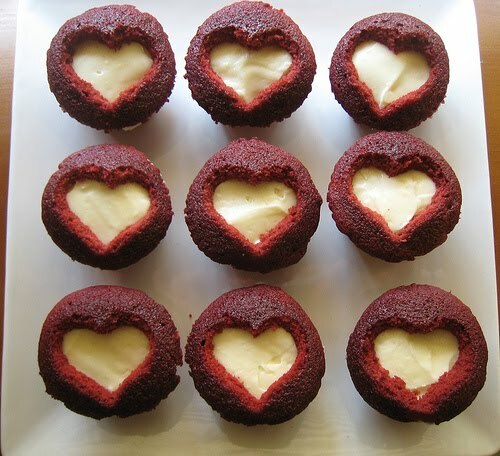 . .
Don't you just love it when true, creative, crafty genius strikes and you discover the perfect treat to surprise your co-workers with at work or send your little off to school with for the big day of love coming up? 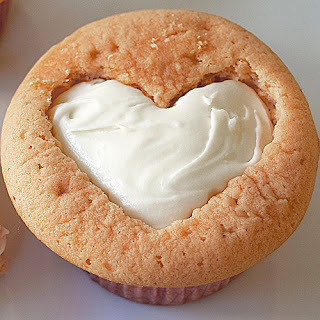 These heart-shaped, cream cheese & vanilla cupcakes are just the thing to bring a smile to everyone's faces and are just so simple, you aren't going to believe it. Check it out . . . 1.) 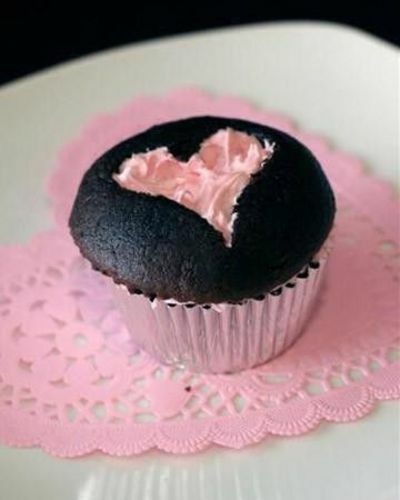 Preheat the oven to 325F degrees, and prepare a cupcake pan with liners. 2.) In a big bowl, beat together the butter and sugar until you obtain a light cream. Add the eggs, one by one, making sure you incorporate well the first before adding the second one. 4.) 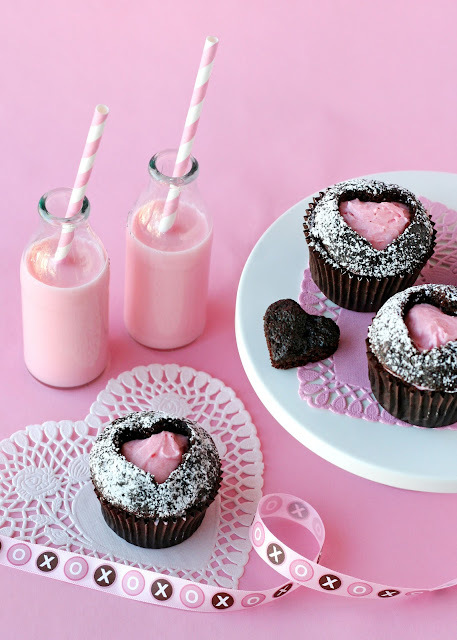 Fill the cupcake liners TO THE TOP of the cupcake liners. This is very important because it will insure you have enough top to cup off. 5.) Bake for 20 minutes, test with a toothpick, and cool on a wire rack. 7.) In a large bowl, on the medium speed of an electric mixer, beat the cream cheese and butter for about 3 minutes or until smooth. Add the vanilla and beat well. Gradually add the sugar and keep beating until you obtain a very soft cream. Cover and refrigerate the icing for a couple of hours to thicken before using. 8.) 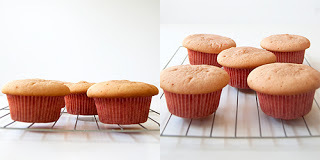 When the cupcakes are cooled, take a serrated knife and gently cut off the fluffy tops, right at the paper. 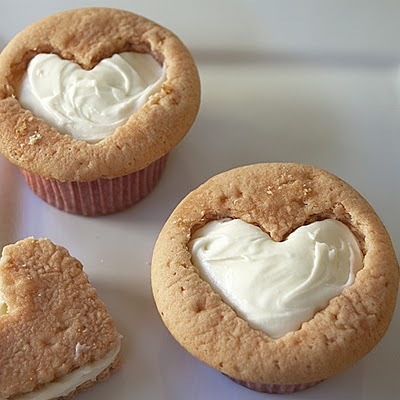 Using a small heart-shape cookie cutter, cut out the center of the tops. 9.) 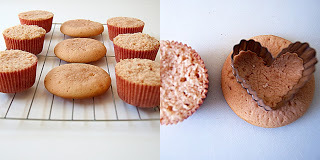 Frost the flat top of the cupcake that you just cut and then place back the top. Aren't those just absolutely adorable? And just in case you needed a little more of a push . . .
And now that you see how easy it is, you can picture just how creative you can get with all of your favorite cookie cutter shapes, right? Ah-mazing.